Maintain your lawn tractor's and Extra optimal performance by replacing your old clogged fuel filter with the John Deere Fuel Filter for John Deere Lawn Tractors and John Deere Extra Mowers. John Deere incorporates precise-filtering media paper which prevents harmful debris from entering the engine. John Deere tested for durability and safety. This MTD replacement oil filter is built for premium OHV 382cc, 420cc, 452cc and 547cc POWERMORE engines. The oil filter replaces O.E. 951-12260/ 751-12260 and the pre-cleaner replaces 951-12256/ 751-12256. 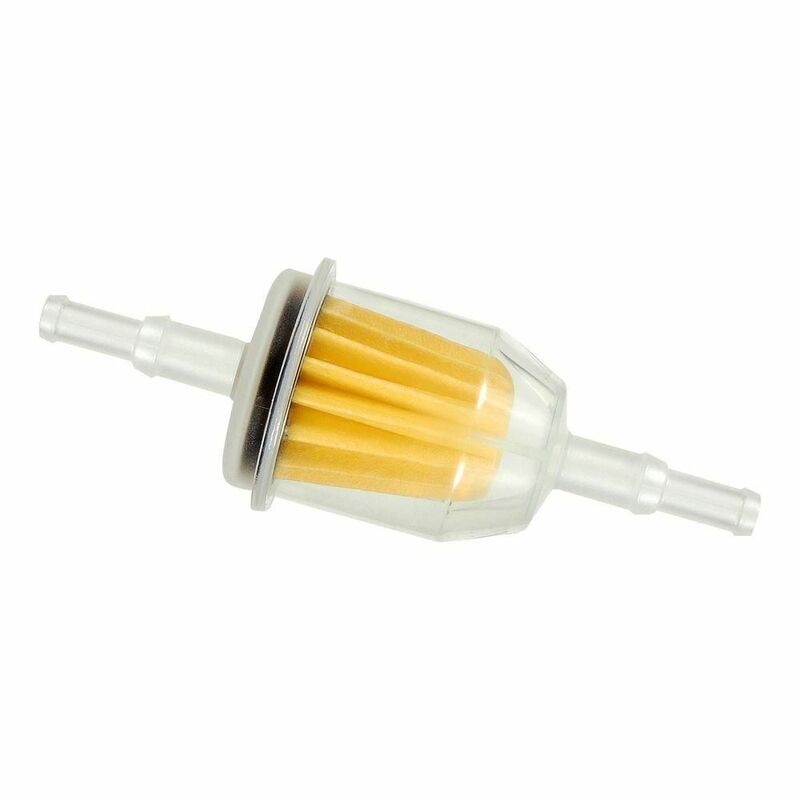 Fuel Filter for John Deere Lawn Tractors and Eztrak Lawn Mowers Maintain your lawn tractor's and Extra optimal performance by replacing your old clogged fuel filter with the John Deere Fuel Filter for John Deere Lawn Tractors and John Deere Extra Mowers. John Deere incorporates precise-filtering media paper which prevents harmful debris from entering the engine. John Deere tested for durability and safety. Fuel Filter for John Deere Lawn Tractors and Eztrak Lawn Mowers is rated 4.7 out of 5 by 87. Rated 2 out of 5 by Royhum from I feel that the filter was way over priced. This... I feel that the filter was way over priced. This should only cost about $ 3 maybe $ 5 at the most. It is working fine. Rated 5 out of 5 by MJB from Needed a replacement for a Raven 7100 MVP mower. ... Needed a replacement for a Raven 7100 MVP mower. Worked perfectly-no leaks. Rated 5 out of 5 by Souther from Easy to install, it took me longer to get the... Easy to install, it took me longer to get the original equipment filter off than to put this one on. Marked as to fuel flow direction, so a quick and simple DIY maintenance item. Rated 4 out of 5 by moose from Dramatically overpriced. A generic filter on the shelves... Dramatically overpriced. A generic filter on the shelves does an equal job for a lot less.